The manager has been put on suspension for his conduct towards an employee. 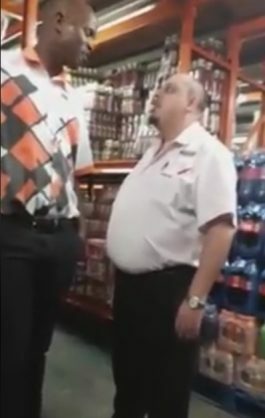 A Shoprite manager has been placed on suspension pending an internal investigation after footage of him and an employee arguing in a store surfaced this week. Shoprite has confirmed knowledge of the incident and said it took place in one of the Gauteng branches. They condemned and disapproved of the conduct of the manager and have apologised to customers and employees. The food outlet said they would take appropriate action in accordance with the company’s code of conduct. They added that they were committed to providing a courteous and professional working environment that applied to all employees. The manager then proceeds to challenge the merchandiser to “moer him”. He argues the merchandiser is not respecting him. The merchandiser replies by stating the manager was not respecting his colleague. The manager then demands the two meet outside in order to show him how he can sort him out.